Nuri Bilge Ceylan is a Turkish film director, photographer, screenwriter and actor born in Istanbul in 1959. After several years of studying electrical engineering, he got interested in photography and cinema. He then travelled to London and Katmandu, and did eighteen months of military service, before studying filmmaking for two years at Mimar Sinan University, Istanbul. He supported himself doing commercial photography. His first short film, Koza, was shown in Cannes in 1995. His two first features, Kasaba and The Clouds of May were shown in Berlin, but it was Uzak in 2003 that brought him international recognition. Uzak won the Cannes Grand Prix as well as the Best Actor Prize for the two main actors. Each of his subsequent features, Climates (2006, Fipresci Award), Three Monkeys (2008, Best director), Once Upon a Time in Anatolia (2011, Grand Jury Prize), successfully premiered in the Cannes official competition. 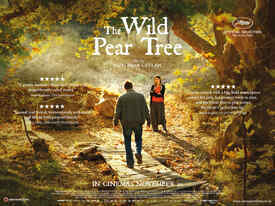 His previous film, Winter Sleep, was awarded the Palme d’Or at the 2014 Cannes Film Festival. Cannes 1995 - 20 min. "A walking, talking wonder...hypnotic and beautiful"
"Beguiling lyricism with biting social observation"
"A typically rich, wry, melancholic mood-piece." 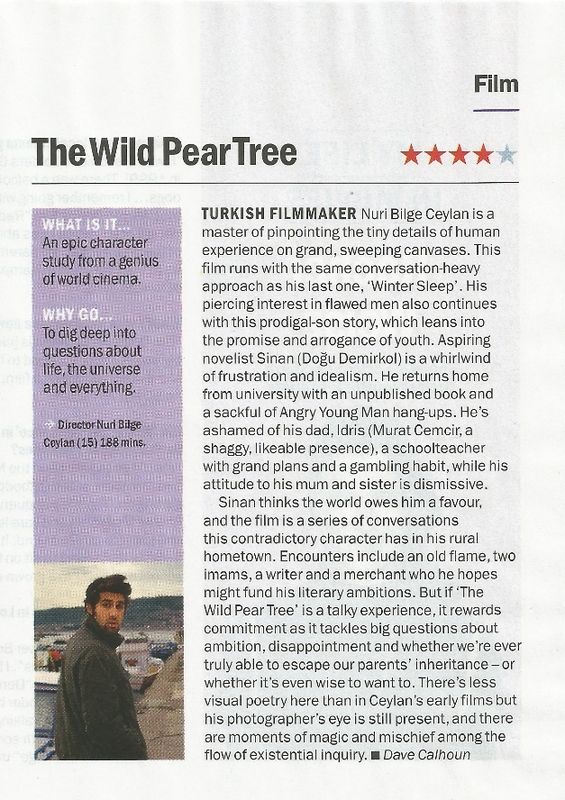 "Another towering cinematic experience...Ceylan being one of the great masters of slow cinema"
"An epic character study from a genius of world cinema." "The distinctive blend of analytical detachment, wry humour and unsentimental compassion that is his (Ceylan's) creative signature has once more produced a remarkably complex and convincing portrait, both of an individual and a society." "Ceylan delivers what might be his funniest, most politically poignant work yet." "Do not be deterred by the running time. The staggering emotional payoff - a transcendental moment so beautiful in its simplicity that the previous three hours of seriousness appear to melt away - is worth every last minute"